In less than three months, Kala will return to Albania for its second edition in Dhërmi. 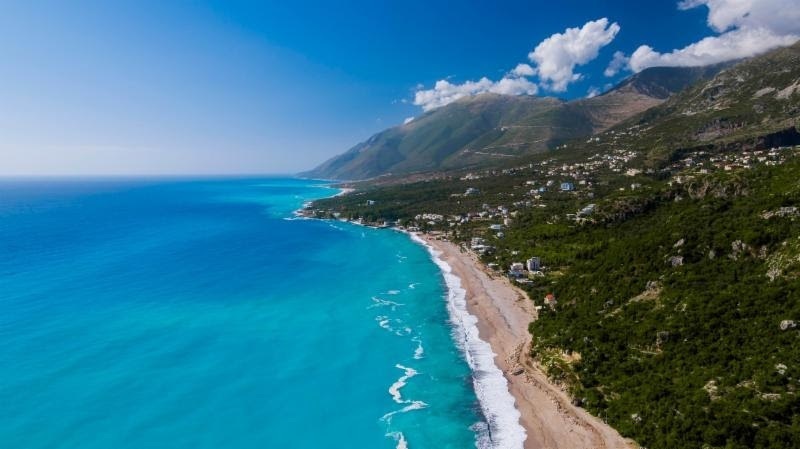 The festival offers travel, holiday, music and fun in an fresh Mediterranean destination on the Albanian Riviera from Wednesday, June 12th to Wednesday, June 19th. 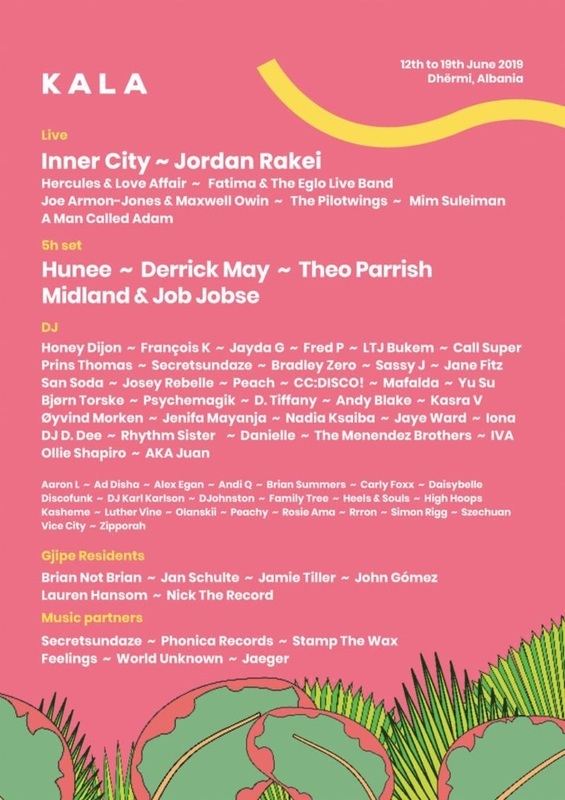 Live acts will play an open-air stage by the sea with sets from Hercules & Love Affair, Fatima & The Eglo Live Band, Mim Suleiman, Inner City, Jordan Rakei. 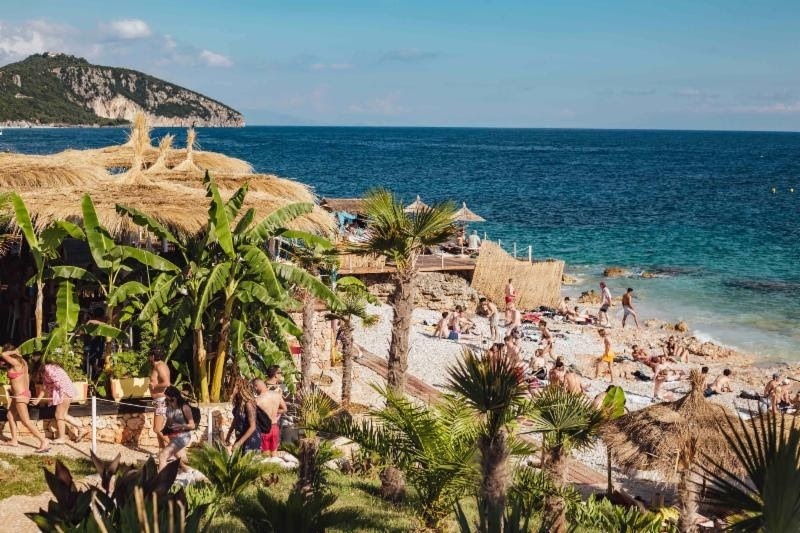 Meanwhile Joe Armon-Jones & Maxwell Owin, The Pilotwings and balearic duo A Man Called Adam will perform sunset sets at The Cove, an intimate beach spot. DJs known for their impressive selections and vast musical knowledge will be given the chance to explore every musical influenced with five hour sets for Hunee, Derrick May, Theo Parrish and Midland & Job Jobse. Other major DJ sets will include Prin Thomas, Honey Dijon, Josey Rebelle, Peach, CC:DISCO!, Body & Soul founder Francois K, Sassy J, Jane Fitz, San Soda, NTS regulars Mafalda and Kasra V, remix experts Psychemagik, DJ collective Rhythm Sister and Norwegian disco hero, Bjørn Torske. Looking deeper at the line-up, the international flavours become more complex with Vancouver spinners D. Tiffany, Yu Su and DJ D. Dee plus London club circuit regular Iona. True to its uncompromising music policy, Kala isn’t afraid of giving prime time slots to rising talent after last year’s surprise gems. Kala welcomes partners Feelings back with DJ Karl Karlson and Brian Summers plus regular collaborators The Menendez Brothers making appearances and well worth catching. Kala’s other partners this year are Secretsundaze, Phonica Records, Stamp The Wax, World Unknown and Jaeger. The unmissable Gjipe beach - a secluded beach forest sitting at the end of an impressive natural canyon that can only be accessed by boat - will this year be soundtracked by residents Brian Not Brian, Jan Schulte, Jamie Tiller, John Gómez, Lauren Hansom and Nick The Record. Complimenting the daily music, Kala will offer excursions, wellness and holiday activities. Excursions this year include paragliding above the Ionian, Gramma Bay boat trips where ancient cave paintings can be found and trips to Porto Palermo and Jala Bay, also via boat. Yoga classes, Gong baths and beach massages will be available to relax by day while those looking to get active can go kayaking, try the -pedalos, hop on a paddleboard or go snorkelling. For tickets and details go to kala.al.